We love Toyota's! Our licensed & insured locksmith technicians service hundreds of Toyota vehicles each year. If you are in need of a spare key, need some key less entry remotes programmed, or even if you have lost all of your keys we can assist you! There are a few special notes about some older Toyota vehicles that you may need to check out if you have a car, truck, or SUV that is 1998-2004. Certain models of earlier Toyota's equipped with a "Type 1" vehicle immobilizer unit require a specialized process known as flashing because Toyota did not permit access to the ECU via the cars' OBD-II Port. No Problem! If you still have a key, it's best to make as many copies as you need while you can. Modern vehicles can commonly accept and store in memory 4 or more keys. This can come in handy if you have several people who share one vehicle, or if you have one driver who is extra good at losing keys. Seeking a spare key for Toyota vehicles is expensive when going to the dealership. One of our locksmiths was quoted $247 Plus Tax for a key to his 2008 Scion tC. This key is identical to the one used in many Toyota Camry, Corolla and other models of Toyota cars and trucks. We will make a key for your Toyota much less. Our prices are typically 1/2 that of the Toyota Dealership for car keys. HOW DO I KNOW WHICH KEY I HAVE? Depending on the year of your Toyota, it will utilize one of many iterations of their engine immobilizer system and a transponder key. Probably the most well known are the Toyota D Chip or "Dot" Key. 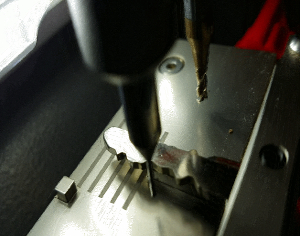 This key can be identified by taking a quick glance at the metal blade of the key. You will notice a small dimple or dot roughly 3 times the size of a ballpoint pen if your key is a Toyota D Transponder key. My Key has a D, G, or an H on it... What does that mean? Beginning in the late 90's Toyota began to employ transponder keys as an anti-theft measure. The D Chip, or "Dot Chip" as it's colloquially named was one of the first transponder chips used. Two other variations of their transponder keys exist. The G Chip, & the H Chip. The finer details aren't of much importance to the consumer, but it is important to know that the keys are not cross compatible or backward compatible. In other words, if your key says G, you cannot use a remote that has H stamped on it. Often times customers find that a remote style of a newer vehicle is more aesthetically pleasing and they want to "upgrade" to mimic the look of the newer vehicle, however, this is not possible due to changes in encoding and radio frequency that vary by design year. When searching for new car keys and remotes for your vehicle it is critical to pay attention and select the right model. Early Toyota and Lexus vehicles are quite different from the later models. The reason for this is simple. 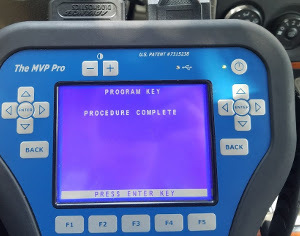 On the earlier models access to the ECU (the part of the car that holds the car key info) is prohibited through the OBD-II diagnostic port. That means no locksmith (even the dealer) can simply plug in a diagnostic machine and add in keys like we can on the later models. This is unfortunate, but please don't be mad at us! We offer competitive pricing on Toyota ECU flashing and key replacement for earlier models. 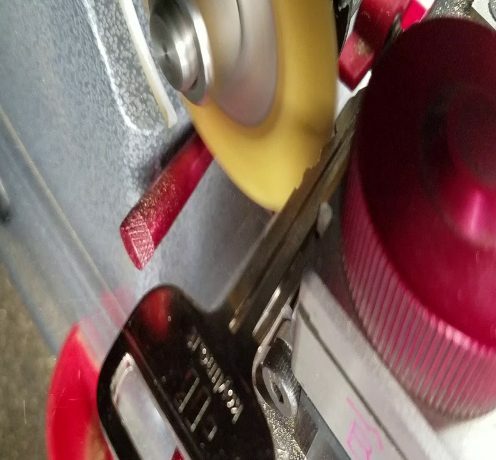 The dealership often charges over $1000 for this service whereas a locksmith can typically get the job completed for as little as a third of the dealership cost. If the dealership has told you that you need to replace or reflash your vehicles computer, due to all keys lost, keep reading! When you talk about re-flashing a computer in a vehicle what does that mean? Re-flashing essentially means that an automotive locksmith or dealer technician will overwrite the current data files stored in the vehicles ECU and revert it back to its original factory unused condition. Once this process is completed you can, in fact, add in new keys! Here is the list of vehicles that need to be re-flashed if all keys are lost. We will provide you a set of replacement keys for much less than the dealer or another locksmith. There is no need to have the vehicle towed to the dealership. Additionally spending over a thousand dollars to repair such a simple issue as lost keys is not required. Give us a call. The issue will be resolve for you quickly and you will have new keys in hand as soon as possible. Automotive keys and remotes are seemingly simple devices. Manufacturers have gone to great lengths to limit who can duplicate their keys and remotes. Of course, the dealership wants to get your car back in as many times for additional revenue after the sale, or aftermarket. Many aftermarket key options exist, yet the dealer touts they are "the only ones" who can replace the keys correctly and with genuine products. This is simply not the case in today's world. Many businesses exist solely to refurbish and repair keys and remotes. Additionally, others produce and supply, genuine OEM car keys, fobs, and remotes. We work with trusted suppliers with a history of producing and supplying excellent quality car keys, remotes, and key fobs. Then, we make them available to you with excellent service and support. All keys and remotes sold come with a warranty. Just as specialist exist in other realms of life, so to do they exist in the Locksmith and Automotive service industry. There are those who specialize in engine repair & transmission repair, and then there are the vehicle security professionals. 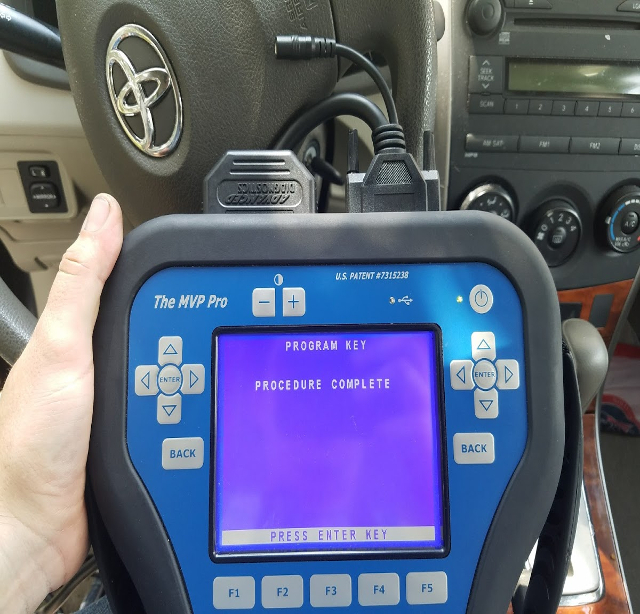 A Locksmith or VSP has inside knowledge and the tools and software needed to provide OEM quality service, not unlike what you would get at the dealership for 3 to 4 times the price. A Locksmith will come directly to your location and take care of everything. There is no need to have the vehicle hauled away to the dealership on the back of a tow truck because you lost your car keys. Locksmiths essentially reverse nickel and dime, saving you money without sacrificing quality. Avoid the Tow, Give a local locksmith a Go! We love tow trucks. They are super necessary for many things. Lost car keys are not one of them. Losing the keys to your vehicle is frustrating, scary and unnerving. You are in a state of panic and confusion. Typically the car dealership will suggest that your only option is to tow the vehicle in and empty out your wallet for a shiny new set of keys. We offer a different solution. Our customers have decided, perhaps it is, in fact, the best solution for those having lost car keys. We dispatch a licensed locksmith directly to your location. Be it on Main Street, Moores Mill or Middle of Nowhere. We'll be there! Same day car key replacement service for most vehicles in most locations. We work around the clock to fit your schedule.If your engine suffers catastrophic damages or your transmission fails, by all means, call up a tow truck! If you flush the keys to your Camry down the toilet (yes, it HAS happened!) Call us for a quick response for replacement car keys for your Toyota, or virtually any other make and model on the road.